CLEVELAND + AKRON DRONE & AERIAL VIDEOGRAPHY & STILLS. WE OFFER SOME OF THE MOST BREATHTAKING VIDEOS IN THE CLEVELAND + AKRON DRONE MARKET. SEE OUR SAMPLES! We offer some of the most beautiful Aerial Drone Photography and Videography in the Cleveland and Akron area. Set your property listing apart from the competition - giving potential buyers a real tour of the interior and exterior. Featuring exactly what it feels like to walk through the property and outlining the exterior layout, makes your listing stand out! Capture the entire lot and acreage with a single shot, allowing buyers to see the property in a whole new way. Please see our price list below (starting prices). For the most accurate quote please fill out our questionnaire below. For commercial, builder and corporate drone, aerial & videography prices - please contact us for a custom quote. Liza Sue Productions provides breathtaking drone photography stills and videos from a unique aerial perspective. Utilizing the safe, unobtrusive Phantom 4 Pro Plus Drone aircraft, we are able to reduce both the costs and risks associated with the use of full scale aircraft to capture amazing marketing photos for whatever you need! We aren’t just Cleveland + Akron Drone photographers! We have extensive experience in Ohio real estate photography and marketing, commercial and portrait photography and video production and specialize in providing a final product that will advertise and market your project with our amazing creative talents. We create high impact digital media that is designed to represent your Cleveland + Akron business or project in the strongest way possible. Many of us think that DSLRs blow drones out of the water when it comes to image quality, but new technology in drones have changed that. Drones like the DJI Phantom 4 Pro, which is what we at Liza Sue Productions shoot and film with, is now capable of producing very high level shots. The Phantom 4 Pro boasts the best cameras on the market today attached to drones with technical specs including 1-inch sensors and 4K plus video resolution. When you watch the videos in HD - you will be amazed at the incredible quality and high definition! When people ask - can you fly your drone in rain or get it wet? The answer is yes - but only once! The Phantom 4 Pro Plus cannot get wet. So while we always try to schedule with the weather in mind, a last minute storm from Cleveland + Akron’s notorious bi-polar weather could create the need to reschedule. 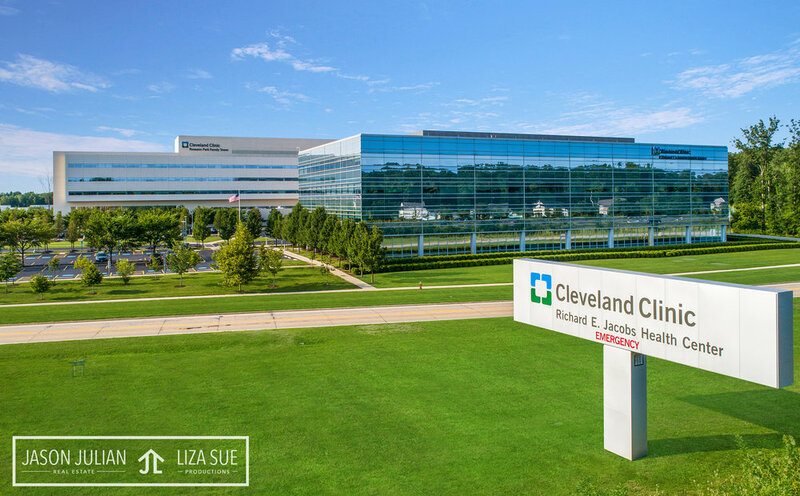 We always want to get you the best results so unfortunately, sometimes Cleveland’s bad weather will force our photographers to have to reschedule your drone shoot. We’ll communicate that as quickly as possible to get you the best weather-dependent photos and videos we can! With the amazing new technologies in drone photography you can capture both aerial still photos and videos. 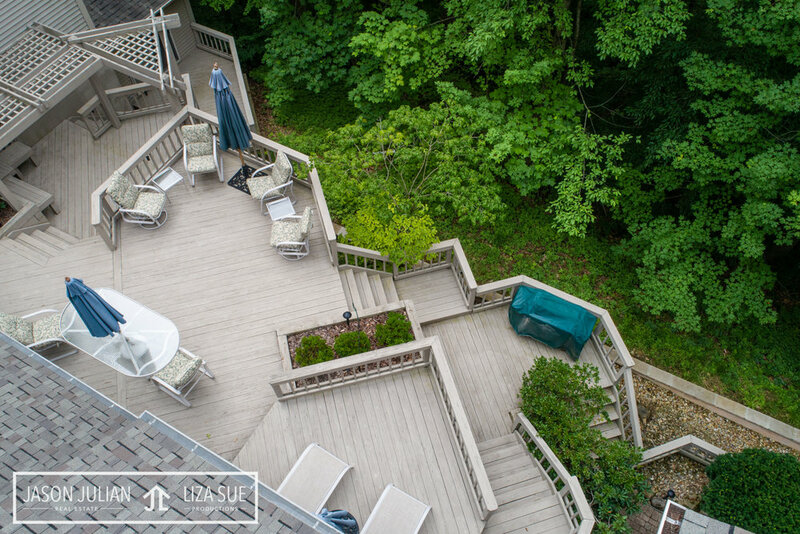 Still photos are great to add to Cleveland + Akron’s real estate residential and commercial listings going into the MLS so potential buyers can easily see the location of the property and it’s surroundings. Videos provide an even more dynamic realistic feeling that views the entire scene in a way that still photos only catch a glimpse of. 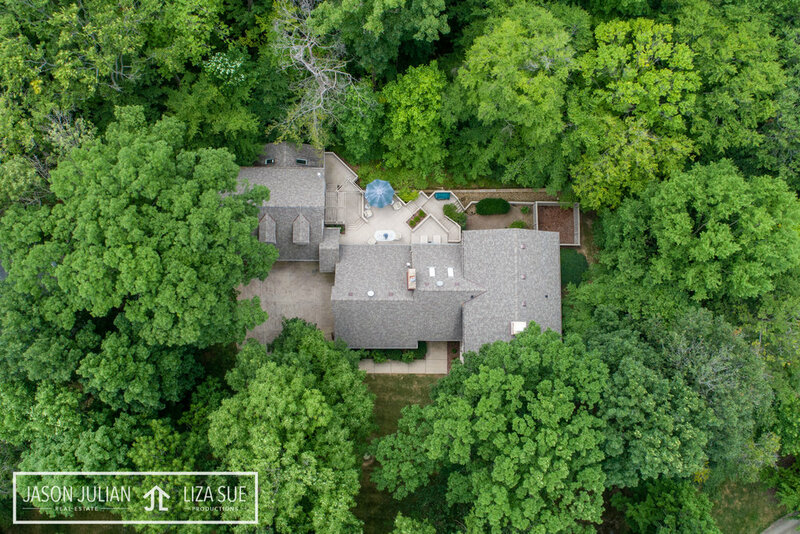 If it’s in the budget for your project, a drone video is highly recommended for the most dynamic marketing materials available in Cleveland + Akron yielding in incredible cinematography that shows exactly how amazing your property is. Some Cleveland + Akron agents market their listings with their cell phone photos and call it a day! Stand out and wow your sellers with professional results that blow away the competitions and show your clients why they should list with you. We’re always happy to have you feature our local Cleveland + Akron company as a proud partner for agents who want to include us in their listing or marketing presentations when a potential seller is interviewing them. 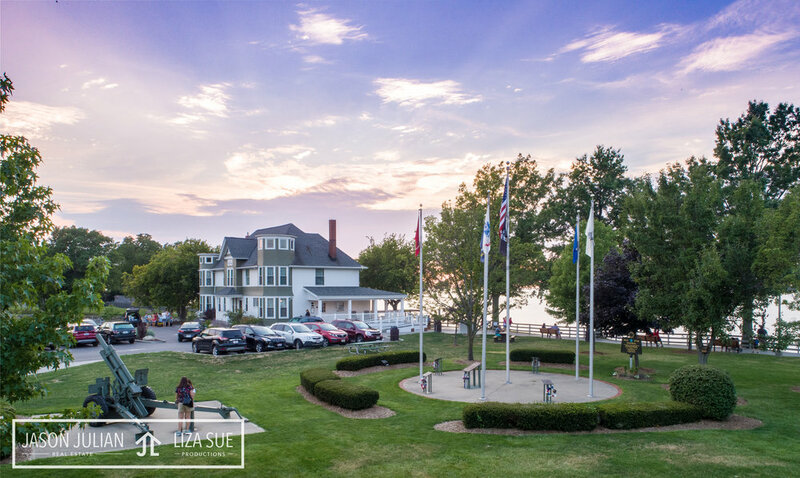 You can even ask to use our portfolio images in your presentations and explain that you use North East Ohio’s premier real estate marketing company - Liza Sue Productions. Every Drone Still photo we take is post produced in Adobe Lightroom and Photoshop. We ensure basic color temperatures and exposures are correct. While we always aim to capture the best angles, compositions and exposure right out of the camera - upon request we can always edit the image to specifics in Photoshop to match your marketing goals. We are experts in post-processing and are happy to collaborate with our clients on their vision for all projects. Never hesitate to ask - you’d be amazed what can be done to a drone photograph post production! Drone videos are part of what make impressive listings magical. Our work is known for it’s fresh, hip look which focuses on minimal design and simplicity that features the important aspects of the project. We know from market research that people are more likely to watch a 60 second video vs a 3 minute video. And videos longer than 3 minutes lose attention all together. So when we process the drone footage for your video - we keep in mind that shorter is better and achieves more market reach. We are always able to add typography overlays. And are always mindful of the architecture and feel of a space when choosing music. Check out our portfolio to see our style and always feel free to collaborate with us so we can help achieve your vision! *Our price list is for add ons onto single properties for Realtors. If you're looking for a corporate, builder, commercial or other project - please contact us for a quote.